The share price for Carnival plc with ticker code: LON:CCL has climbed 1.73% or 76 points thoughout the session so far. Buyers are a positive bunch throughout the trading session. The periods high has reached 4465 and hitting a low of 4398.2. The amount of shares exchanged has so far reached 154,909 with the daily average traded share volume around 1,174,344. The 52 week high for the share price is 5435 around 1050 points difference from the previous days close and putting the 52 week low at 4210 which is a variance of 175 points. Carnival plc now has a 20 moving average of 4389.6 and the 50 day moving average of 4559.71. The current market capitalisation is £32,108.38m at the time of this report. The stock is traded in GBX. Mcap is measured in GBP. This article was written with the last trade for Carnival plc being recorded at Friday, August 3, 2018 at 12:10:08 PM GMT with the stock price trading at 4461 GBX. The share price for DS Smith plc with EPIC code: LON:SMDS has risen 2.4% or 11.8 points throughout today’s trading session so far. Traders have stayed positive throughout the trading session. The period high has peaked at 503.8 meanwhile the session low reached 494.43. The volume total for shares traded up to this point was 1,574,278 with the daily average traded share volume around 7,273,163. The 52 week high price for the shares is 542.45 which comes in at 50.65 points in difference on the previous days close and a 52 week low being 426.08 a difference of some 65.72 points. DS Smith plc has a 20 day moving average of 492.78 and now the 50 day moving average now at 456.77. Market capitalisation for the company is £6,898.45m at the time of this report. The share price is in Great British pence. Mcap is measured in GBP. This article was written with the last trade for DS Smith plc being recorded at Friday, August 3, 2018 at 12:09:34 PM GMT with the stock price trading at 503.6 GBX. 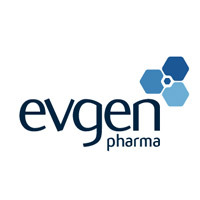 Shares of Evgen Pharma PLC company symbol: LON:EVG has increased 5.15% or 0.85 points during today’s session so far. Traders have remained positive during the session. The period high was 17.4 and hitting a low of 16.6. The amount of shares exchanged has so far reached 49,334 with the daily average number around 139,800. The 52 week high for the share price is 29.25 some 12.75 points in difference on the previous days close and a 52 week low being 12.15 a difference of some 4.35 points. Evgen Pharma PLC now has a 20 simple moving average of 17.85 and the 50 day simple moving average now at 19.42. This puts the market capitalisation now at £15.30m at the time of this report. All share prices mentioned for this stock are traded in GBX. Mcap is measured in GBP. This article was written with the last trade for Evgen Pharma PLC being recorded at Friday, August 3, 2018 at 11:49:39 AM GMT with the stock price trading at 17.35 GBX. The stock price for G4S plc with ticker code: LON:GFS has moved up 1.58% or 4.3 points during the course of today’s session so far. Market buyers have remained positive during the trading session. Range high for the period so far is 276.5 meanwhile the session low reached 272.5. The volume total for shares traded up to this point was 370,263 with the daily average number around 5,000,016. The 52 week high is 336.3 which comes in at 64.6 points in difference on the previous days close and a 52 week low being 233.8 making a difference of 37.9 points. G4S plc now has a 20 SMA at 274.76 with a 50 day SMA of 274.7. This puts the market cap at £4,339.00m at the time of this report. The currency for this stock is Great British pence.Market cap is measured in GBP. 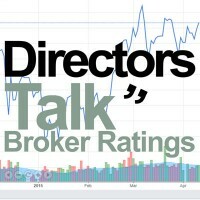 This article was written with the last trade for G4S plc being recorded at Friday, August 3, 2018 at 12:09:44 PM GMT with the stock price trading at 276 GBX. Click CCL EVG GFS SMDS for the full archive.